My name is Hannah Ward. Don't call me a ballerina. 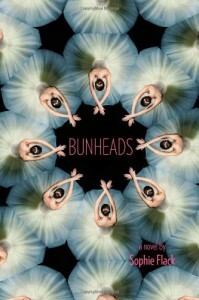 So, I did not originally go to the library with the intent of checking out Bunheads. It was more of something I picked up on a whim, and which I ended up enjoying quite a lot. Y'all will have to forgive me, I cannot seem to recall any of the names of the other characters from Bunheads (forgot to finish this review before I moved). For not being something I planned on checking out from the library, I ended up absolutely loving the narrative style that Ms. Flack used when she wrote Bunheads. I loved the fact that it seemed more like Hannah was looking back and commenting upon the choices that she had made and how she got to where she is at the end of the book. I just though it was incredible way to tell Hannah's story because it pulls you in and makes you want to know what she chose to do with her life. There are few, and I mean few, books were an author is able to capture the competitive nature of athletes and make it pretty much spot-on to how things actually are. While I enjoyed the competitive edge to the book, I really liked that for the most part, none of the characters came across as catty and petty, except for the one main rival of Hannah's, and that they all just seemed to be hard workers. Hannah was an alright character, not necessarily one that I liked right off the bat bu definitely one whose story will pull you in. The one thing I really enjoyed about Hannah's story would have to be how hard she worked towards her goal of becoming a star ballerina in her ballet company. 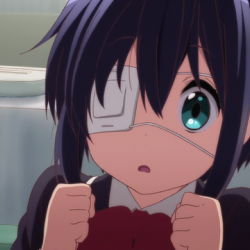 I liked that she was willing to put in all those long, grueling hours of work just to have a shot at being the lead. It gave her, in my opinion, a strength and determination that other female characters lack in contemporary YA books, which is one of the reasons I ended up enjoying this one so much. What I really liked about Bunheads is the glimpse into the world of a ballet company and how competitive the dancers were with each other. Although I have absolutely no idea how things are in the ballet world, I liked that Ms Flack wrote bluntly about the fierce competitiveness that comes with any sport that is more than a hobby to those who participate. With (just) about every book there is always something that I end up not liking. What I ended up not liking about this book would have to be when Hannah started dating. I know, a weird reason to find fault with the book, but it was kind of disappointing that she seemed to lose sight of what she wanted when she took notice of the two potential love interests in the book. While I may have been a little disappointed with her choices, she did finally go after what she wanted at the end of the book. Bunheads earns 4 out of 5 pineapples.